This time of year I find I am usually equal parts excited and anxious for what lays ahead. So many new opportunities, friends, sports, clubs, etc. – so many new schedules to balance (especially now that I have a full day student, a part-time preschooler, and a baby). You may have noticed, in fact, that I’m already in preparation overdrive. Well, I’m not done yet! Today our contributor Kristin, a former first grade teacher, is here sharing her all-time favorite back-to-school hacks. You would never show up to a job interview unprepared. We spend weeks preparing for interviews and promotions, so let’s put the same effort into getting ready for school. Being prepared makes a hard task seem easier. It rids our lives of chaos and it helps our children feel ready for their big job of learning. 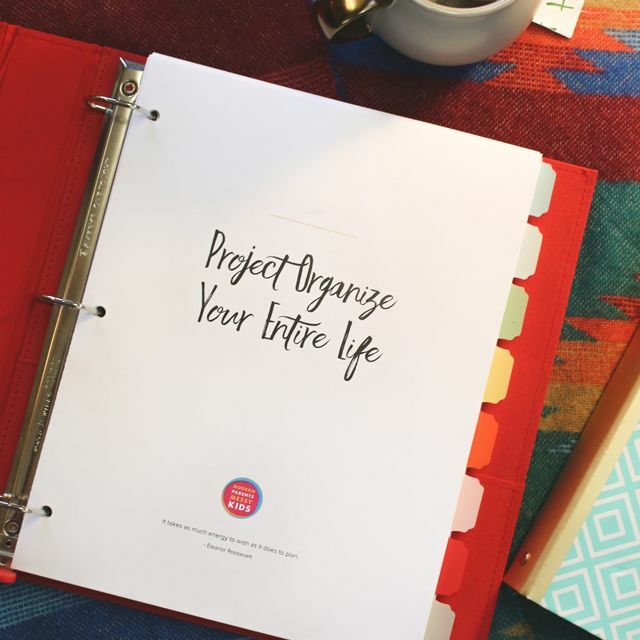 I put together a list of some of my favorite organizational tips and ideas to make the school days run smoothly. It will take a little bit of time to get these up and running, but the amount of time you will save in your day-to-day tasks will be worth the original investment. One of our top priorities as parents should always be to teach kids to do for themselves. 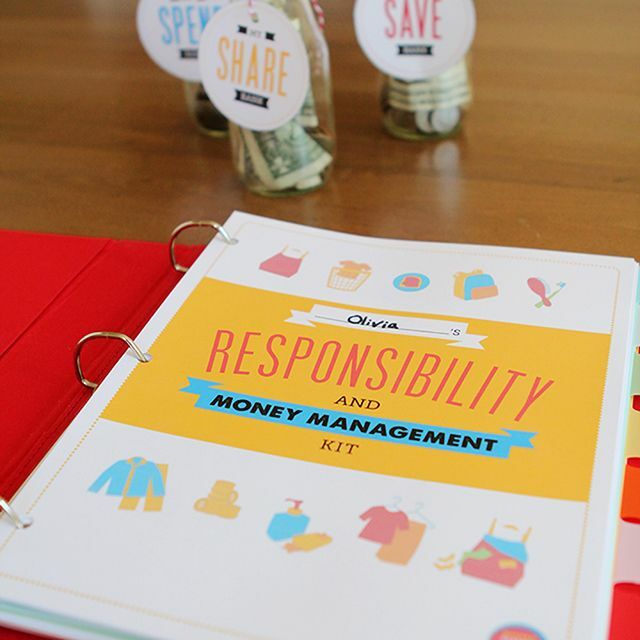 MPMK’s Kids’ Responsibility & Money Management Pack is an excellent tool for doing so with kids of all ages. The sheets and sheets of printables for family jobs, money jobs, allowance tracking, and goal setting are all wonderful but I find the customizable daily routine charts especially helpful this time of year! I love the homework station that 11 Magnolia Lane has put together. Kids have everything at their finger tips to get their homework done as quickly as possible. And it looks pretty too. Also, don’t forget to make your own simple art portfolio with the kids so they’ll have somewhere to tuck away all those wonky-sized projects they bring home throughout the year! Uncommon Designs took over a cupboard in the pantry for a simple lunch system. It organizes food so kids can easily pack their own lunches. I’m definitely stealing this idea from Making Lemonade and Just a Night Owl. Each mom starts off the school year with some bins and labeled folders so when we get bombarded with paperwork at the beginning of the year, everything can go in its home. I’ll never be searching for papers or treasured art work again. We’ve started using a bento box lunch system like these from Pottery Barn Kids and I’ve loved how it’s gotten me out of the lunch rut. The organizational system allows me to pack things like dips and handfuls of nuts (things that would be awkward to put in a plastic bag). Creating Really Awesome Free Things shows us how to use a shutter door to organize back packs and school supplies. I thought this was a great idea for those in apartments that make not be able to drill into walls. I knew there was more than one use for closet organizers. Turns out you can use them to make back-to-school dressing a cinch. Kids plan out their outfits for the week and stick them in the cubbies. They can also be used to store school supplies. Great idea, Sophitishe! 6 Things Your Child’s Teacher Wants You to Tell Them!